TGIF and happy early Mother’s Day! This week was all about motherhood here on Middle of Somewhere, and for good reason. 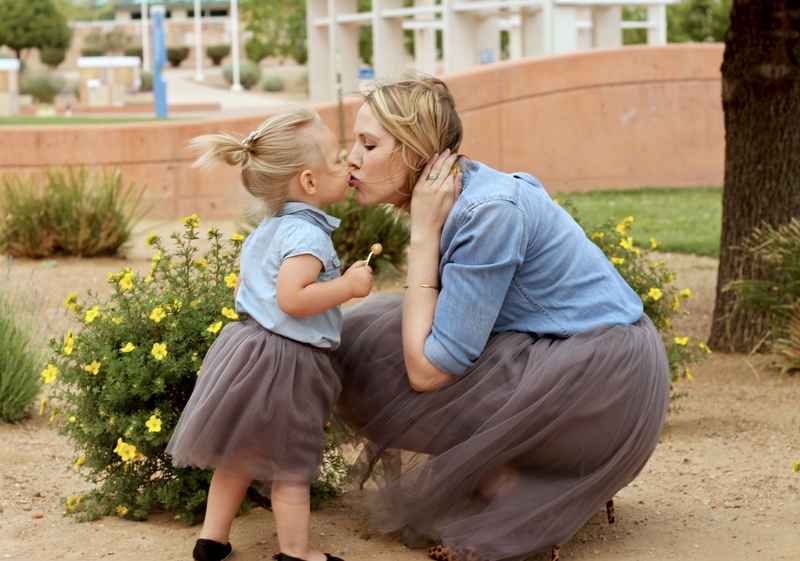 With Mother’s Day just a few days away, it’s always a good excuse to put on some mommy and me tulle skirts! If you follow my Insta-stories, you may have seen a few sneak peeks of today’s outfit. When Cest Ca NY reached out to me about sharing their beautiful tulle skirts, I immediately knew I had to get matching ones for Harper and I. 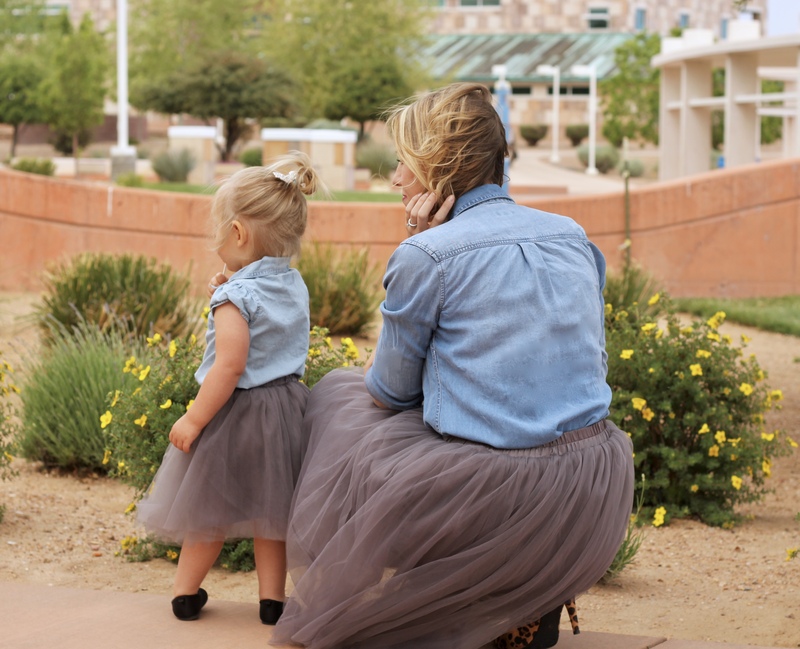 The mommy and me matching outfits obsession is real, and one of the best parts of being a girl mom! Megan from The Fashionista Momma and I would absolutely love to have you join us for The Weekly Style Edit link up today. 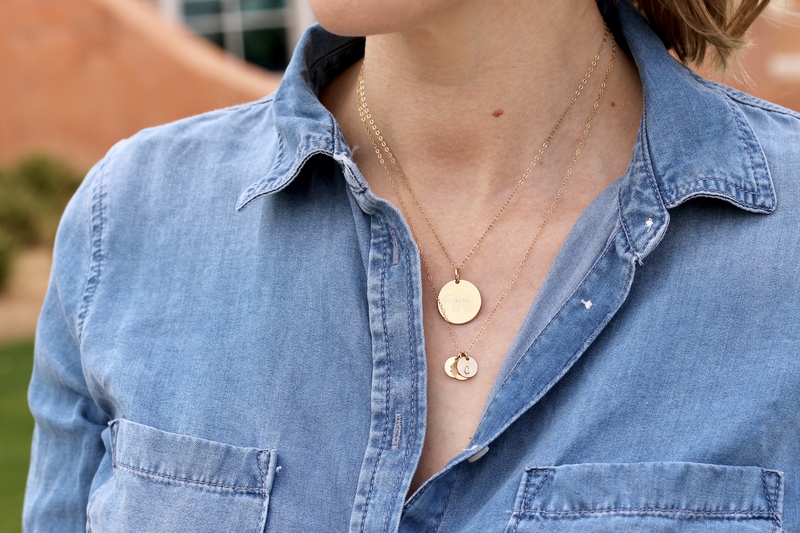 Each week we get together to share our personal style with you, and would love to see yours as well! 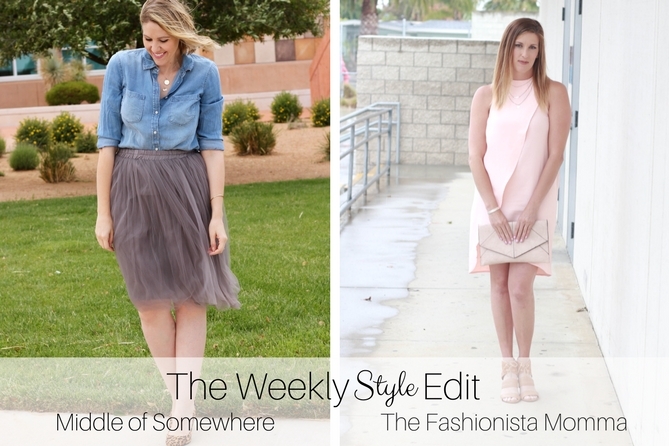 You can add a link to one of your recent outfit posts, and get inspiration from other bloggers that participate. We would also love for you to join us in our new Facebook group! P.S. If you haven’t already, be sure to check out my Motherhood Mottos post with 11 of my other favorite bloggers for your chance to win a huge mommy & me prize pack! You can also check out my Mother’s Day gift guide for some last minute ideas for the special mama in your life.